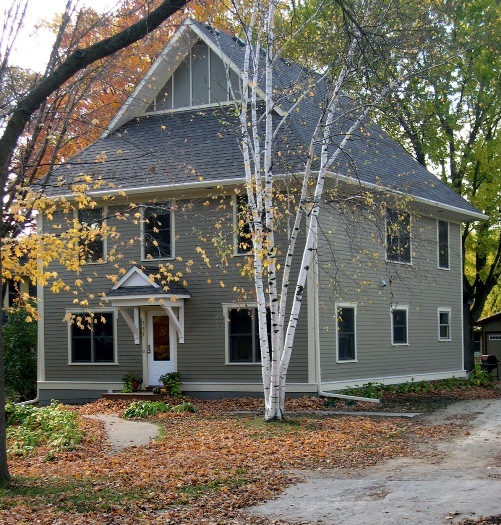 The house on Plum Street is finished. Well, we still have some DIY things to wrap up, but for the most part, the house is done. With this post, we’ll share some images of the completed project. In subsequent posts, we will fill in the gaps between this and previous posts. 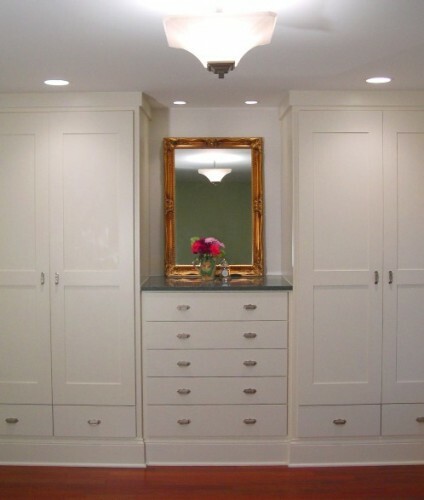 These built-ins serve as the Master Closet, and they work well for us. 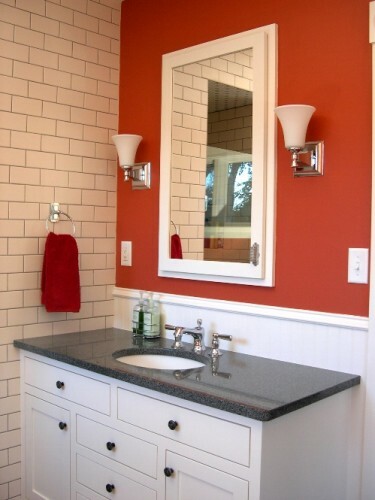 The Master Bath Vanity and medicine cabinet worked out to be both functional and beautiful. 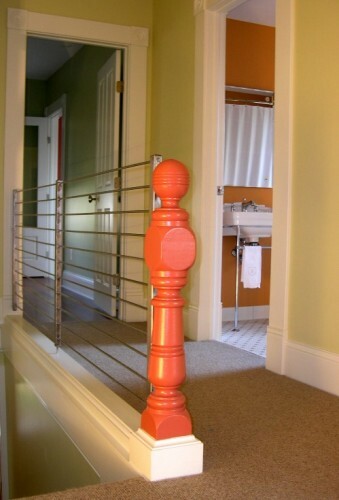 At one point, this newel post was the tallest part of the house! Our workload and family life kept us hopping this spring and summer, so I must apologize for not keeping this blog up to date on a regular basis. We did move back into the house in March and only a few boxes remain to be unpacked (mostly mine.) The remodeling has truly been a blessing for us; our lives have been enhanced in many ways by the finished project. And we now have a much better understanding of the remodeling experience since we have now seen it from all sides.